ECUPROGRAM is growing and expanding and getting more demands for increasing market. We are looking for resellers in the North America and South America and in different parts of the world to distribute and install our high quality products. Enjoyed by customers in over 20 countries worldwide. For our resellers, ECUPROGRAM's offer is quite opportunistic and certainly unique. Because the superior results achieved when installing our software generate a wave of enthusiasm, an increase in customer traffic is the outcome! Word of mouth alone is often enough to attract friends of friends who also want to take advantage of the impact created by our products. This explosive domino effect adds to our resellers' reputation, and is a perfect compliment for dynamic companies aware of their role as technical advisers. Please fill the form (below) for wholesale pricings. Got a friend? and just want a commission? With a worldwide dealer network and well respected brand name, we are available in most countries with the same level of quality you would expect. If your company would like to become a dealer in a country we are not already represented please feel free to get in touch. We also have remote tuning modules where we can assist you if you want to be able to flash your car without visiting a dealer. Use the tool we supply to read the original file from the customer‘s car. Send the settings file to us via the internet. 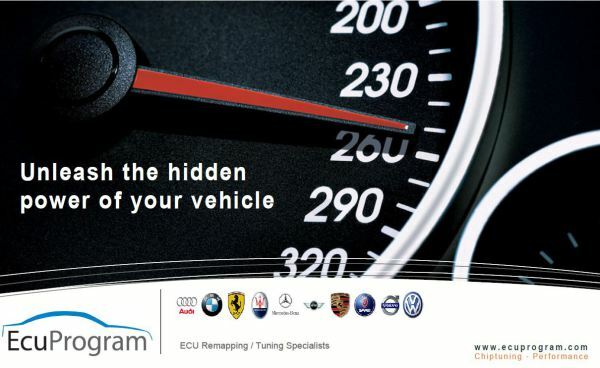 We will do all the hard work tuning the file for optimum power torque and fuel economy. We will send the modified file back to you. You upload the tuned file to the car with a touch of a button. Please contact us if you are a local repair shop or tuning shop and you would like to set up a referral/dealer partnership whereby you may offer your current customers access to chip tuning services through our company. Referral incentives are provided to your business.